A Saskatoon Man Has Been Charged in the Death of a Former Creighton Resident. The body of 39 year old Tammy Brown was found in her Saskatoon home last Tuesday morning. Brown is a former resident of Creighton, was a professor at the Saskatchewan Polytechnic campus in Saskatoon and had two children. 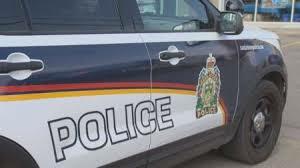 Her common law partner 37 year old Blake Schreiner was arrested in connection with the death and appeared in Saskatoon court on Friday charged with second degree murder. His next court appearance is on February 15th.